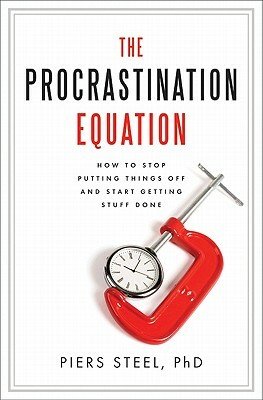 Using a mix of psychology, evolutionary biology, self-help, and more than a decade of research, Dr. Piers Steel, the world’s foremost authority on procrastination, offers a tried and true method helping us to identify, understand, and break free of our self-destructive bad habits and create more positive lives for ourselves. Piers Steel, PhD, one of the world’s foremost researchers and speakers on the science of motivation and procrastination, is the winner of the Killam Emerging Research Leader Award. Dr. Steel’s research has appeared in numerous outlets around the world, ranging from Psychology Today and New Scientist to Good Housekeeping and The New Yorker. He lives in Calgary, Alberta, with his wife and two sons.